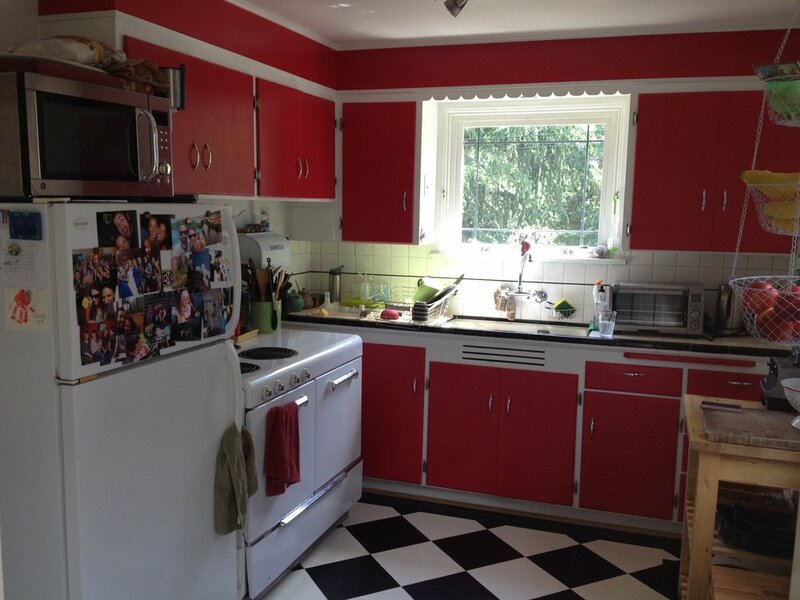 This tiny retro kitchen was both cut off from the living and dining spaces and had virtually no counter space to speak of. 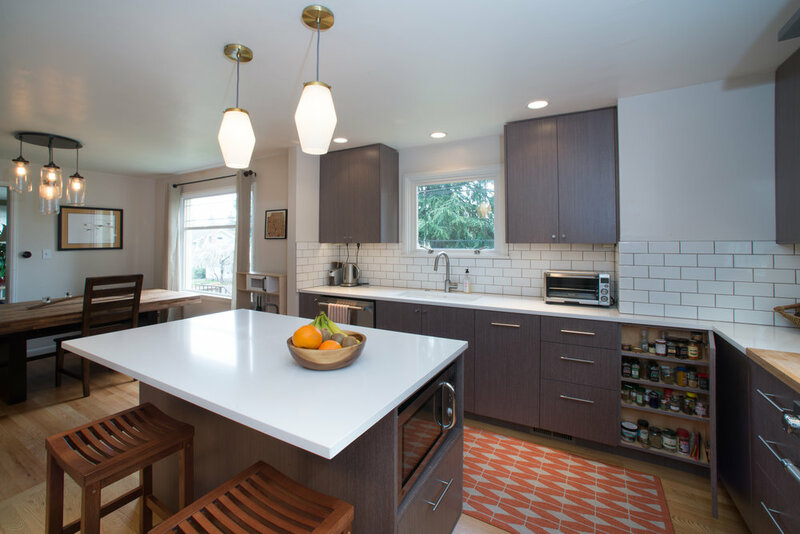 With the birth of the owners first child the need for a functional family kitchen became of utmost importance. 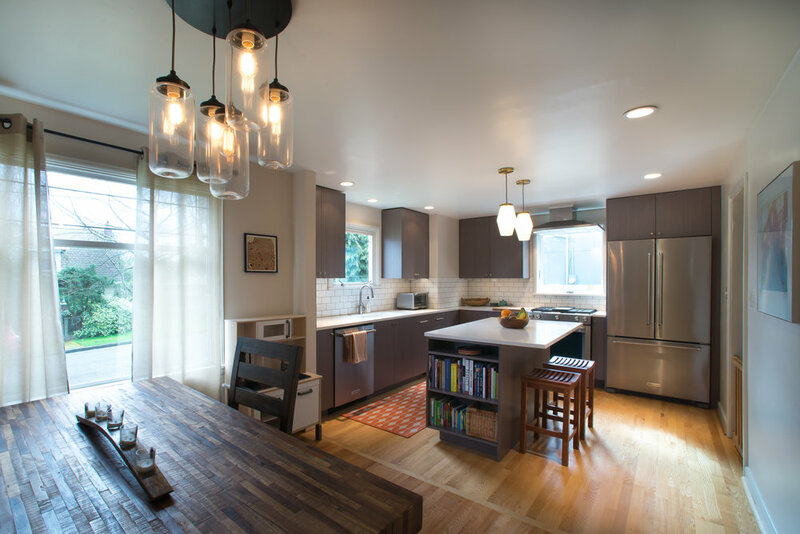 Several issues had to be considered including leaving the existing back door and basement access, opening the kitchen to the main living spaces and creating a larger feeling kitchen. In order to serve these needs and stretch the budget we came up with the smallest addition possible by adding 32 sf. 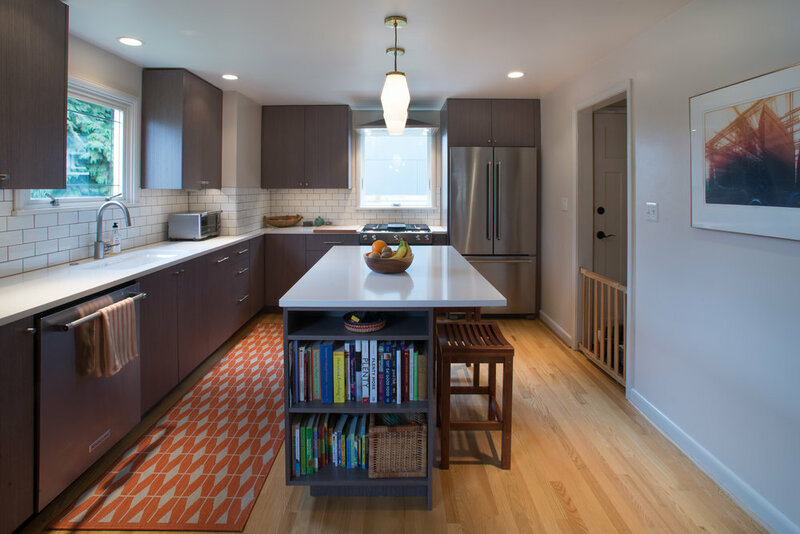 This small addition made a huge impact on the functionality of the kitchen by providing ample storage, an island and plenty of counter space. From the exterior, the challenge was to integrate the addition into the existing roof line and kitchen bump-out at the front of the house.